This Cabrera waterfront property represents a unique and wonderful opportunity to purchase a piece of Cabrera real estate smack-dab on the ocean’s waterfront. This prime Cabrera waterfront property is increasingly difficult to find, particularly along the lush coast of Cabrera in the Dominican Republic. . . this is very much choice land. This Cabrera property for sale is best described by the words, lush, private, secluded and intimate. This magical, Cabrera waterfront property with its guesthouse was built in 2008 on over an acre of oceanfront property with incredible views of the ocean. The house is built with local materials, which include custom-made mahogany windows and doors—no detail was overlooked in designing a great beginning to an incredible compound. It consists of a bedroom and sitting area with a cathedral ceiling, kitchen and large outdoor living room with gas grill. There are a bathroom and an outdoor shower. It is a unique experience to shower in the great outdoors with the sky open above you—the feeling is exhilarating and uplifting. There is also a laundry room and a detached, two-car garage. Next to the house, and overlooking the ocean, is an infinity pool, at the far end of which is a Bali bed. 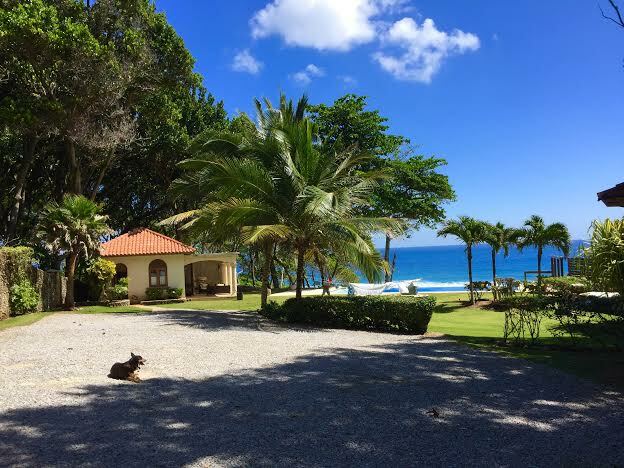 This charming, Cabrera waterfront property which is for sale for US$ 395,000 can be lived in while a new main house is being built to the owner’s specification. Or it can be left as is, for a small, romantic or restful get-a-way bungalow. It is only a few miles away from the Robert Trent Jones Golf Course at Playa Grande between Rio San Juan and Cabrera on the north shore of the Dominican Republic. We all have different goals when visiting the Caribbean. Many are visiting our island to help Domincian Republic Rescued Dogs. 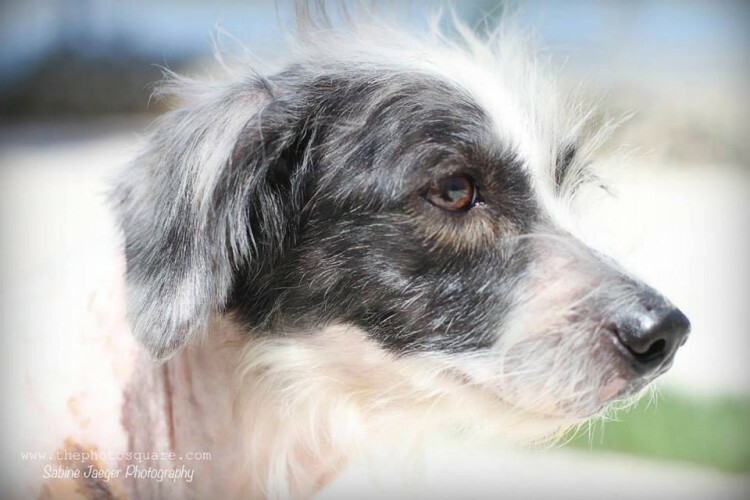 One beautiful Dominican Republic Rescued Dogs story is Fergie’s. Tom and Tanya found her on the road on her way to Santiago. The poor girls were burned all over her body. Luckily Tom and Tanya took her home, healed her and she had a wonderful recovery and was then adopted by Canadians. Living in the Dominican Republic provides many opportunities to make a difference in the lives of people and animals. One group of animal lovers, recently formed and growing rapidly, is known as DCDR, or Dogs and cats of the Dominican Republic. 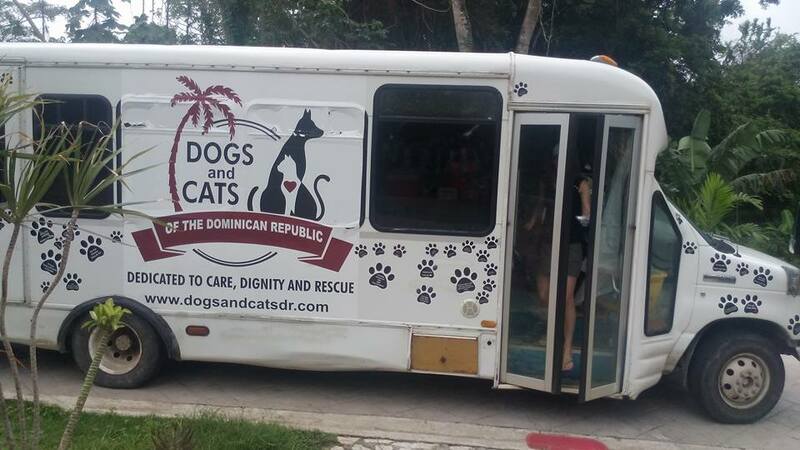 A dedicated, all-volunteer group, DCDR provides food and medication to more than 2,000 street dogs and cats in a widening area of the north coast from Sabaneta to Luperon and including Sosua, Cabarete and parts of Puerto Plata. DCDR also provides frequent spay-neuter clinics and recently launched its “Rescue-Rover”, a converted airport hotel van that contains two operating suites. DCDR is 100% volunteer, meaning that every penny donated is used to benefit the animals of the Dominican Republic. Many residents, both foreign and Dominican, volunteer in the various outreach programs that treat animals and educate their owners. The results are stunning! Where just a few years ago, the sight of mal- nourished and sick dogs roaming the streets and beaches of the north coast was fairly common, it is now rare and DCDR aims to ensure that it disappears entirely. 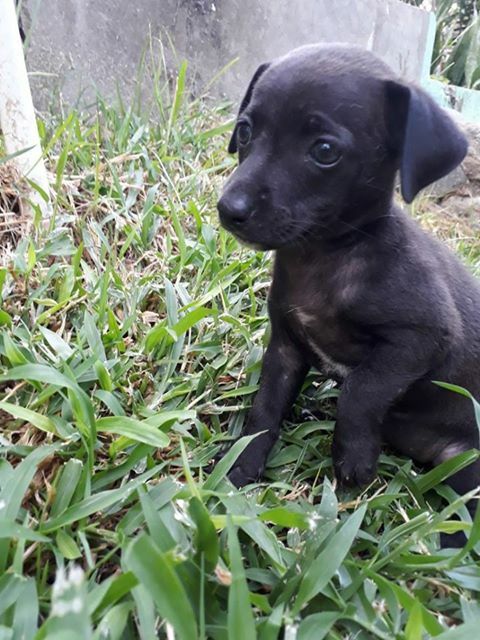 A small donation to DCDR can make a real difference to all the Dominican Republic rescued dogs, and just a few hours a month of volunteer time can change the lives of many animals. Dogs and Cats of the Dominican Republic is a nonprofit, volunteer-based organization whose mission is to significantly improve the health and welfare of the dogs and cats of the north coast of the Dominican Republic. Our mission will be accomplished through the commitment and compassion of our volunteers. Volunteer efforts will incorporate hands-on assistance, education of pet owners, residents and tourists, and provision of basic medical support which will include parasite treatment and emergency medical care. We will also provide foster care and find forever homes for Dominican Republic rescued dogs. Furthermore, we provide emergency pet food supplies and strive to reduce overpopulation via spay/neuter programs. We are committed to an unparalleled community outreach program that connects our experienced volunteers to both the animals, and the Dominican and Haitian people. Dogs and Cats of the Dominican Republic will also act as good stewards of our contributors’ donations, and strive to foster community spirit and partnerships with individuals and local businesses for the benefit of all. Enjoy this little journey of Dominican Republic Real Estate & Impressions which we put together for you. Can you imagine how nice it would be to own a farm in the countryside of Jamao al Norte or a beachfront condo in Cabarete? 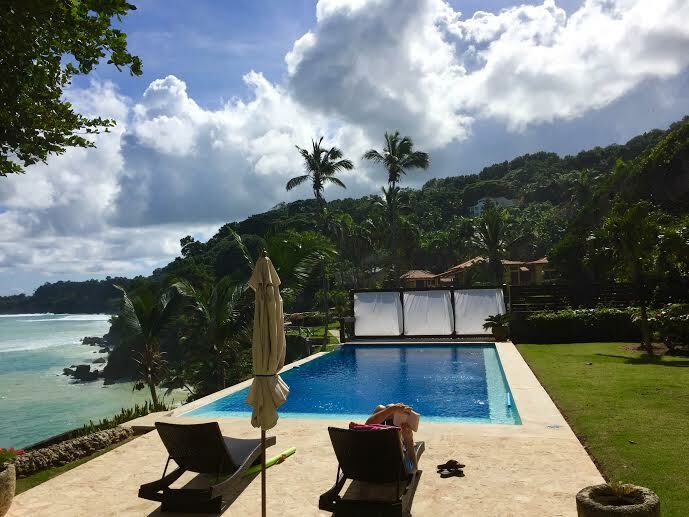 How about a odern luxury villa in Samana, an apartment in Punta Cana, a lodge in Jarabacoa? There are so many wonderful possibilities! A spot in Jamao al Norte can also become a business by turning it into a spa retreat, a boutique hotel, an eco-lodge/restaurant and much more options. Or just to have your own little place on a hilltop with incredible mountain views and being able to enjoy nature everyday right outside your door. If you are more of a beach kind of person we also have a great selection of beachfront condos and villas for you to choose from. On our site, you will see a range of luxury villas and extraordinary penthouses to affordable apartments and fixed price homes. Aside from existing homes, we also have lots and larger properties to build on, along with restaurants up for sale prepared to operate right away. A space to retire to after long years of work, somewhere to find the peace within, a comfort zone away from home, your own property to live in and rent if you’d like from time to time, that is what we have for you here. With us, you will receive a variety of choices where you can search Dominican Republic Real Estate & Impressions by pricing, a number of bedrooms or even by area of desire. Experience living in the Caribbean by renting a place! We also have many places that are available for rent, if you think that you would first like to live in the home a few days to get to know the area before actually committing to buy. This way you can experience the feel of the life you will have after purchasing. If you are thinking of planning a vacation, then take a glance at our rental listings where we offer the best alternatives for your stay. Contact us so we can help you find your dream home/vacation in the Caribbean. 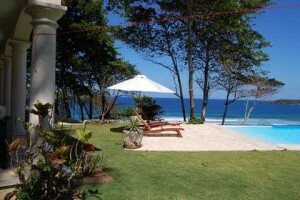 Click on the photos to see all the beautiful Dominican Republic Real Estate & Impressions. The International School Sosua (ISS) provides an excellent education for students living in Sosua, Cabarete and Puerto Plata. When relocating a family, there are many things to take into consideration. Education and language are always of top concern. The International School Sosua offers education for grades Pre-K to 12. All classes are taught in English and all teachers are certified in their field. However, Spanish class is also a requirement for all students. ISS is a top choice for local families. It holds membership in the Southern Accreditation of Colleges and Schools in the United States (SACS). In addition to this, it also offers diploma programs from both the United States and the Dominican Republic. 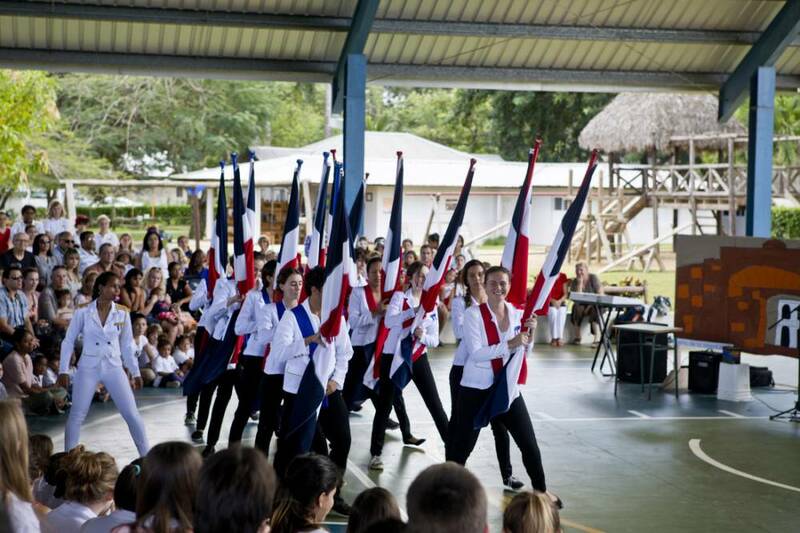 With students from North and South America, Europe and Asia, the school is a true reflection of our global community. In addition to the above, ISS is also conveniently located. You can find the school just off the highway, on a quiet residential road called La Mulata. With a large parking lot, access is easy and convenient. Throughout the year, ISS hosts numerous social and sporting events, opening up their doors to the surrounding community. Furthermore, students also have many opportunities to get involved in local community initiatives and outreach activities. The staff at the school welcome visitors and are willing to answer questions about their philosophy, approach, and results. In addition to this, the school employs exceptional security and support staff. As a result, students and parents can have peace of mind at all times. To discover more schools and education opportunities on the north coast of the Dominican Republic, please check our page on public and private schools. Select Caribbean Properties, a well-known real estate company serving the north coast of the Dominican Republic, is proud to be a member of LeadingRE since 2015. Sabine A. Mertes notes that selection as an affiliate of the Leading Real Estate Companies of the World® network represents another step in the development of the firm and its ability to provide real estate services in the area of Puerto Plata, Sosua, Cabarete, Rio San Juan, Cabrera, Samana, and Jarabacoa. For over a decade, Select Caribbean Properties has specialized in luxury real estate offerings in the Dominican Republic. This highly respected, Real Estate Company represents luxury villas, affordable homes and building lots in residential communities as well as condominiums, large development parcels, farms and commercial properties. In the last years, Select Caribbean Properties realized that the market was demanding affordable homes and we added a lot of options in this market field as well. Leading Real Estate Companies of the World® (LeadingRE) is the largest network of top independent local and regional brand-name brokerage firms in the residential sector of real estate. The 500+ firms affiliated with Leading Real Estate Companies of the World® (LeadingRE) are represented by 3,500 offices and 120,000 associates in nearly 50 countries worldwide. Collectively, LeadingRE affiliates produced over 1 million home sales valued at $314 billion in 2013. In addition, LeadingRE affiliates hold the Number One position in terms of sales volume, transaction sides or both in more of the top U.S. markets than any other organization. Learn more at http://www.leadingre.com. Rafael Nadal, the Spanish tennis superstar, buys villa in the Dominican Republic. He looked into the Dominican Republic’s excellent real estate market, climate, security and the friendliness of its people. He liked what he saw and decided to purchase a beautiful waterfront villa in one of the Dominican Republic’s most exclusive resorts. The Spaniard, the number two tennis player in the world, is now the proud owner of a luxury villa in the “Playa Nueva Romana” resort, a project developed by the Piñero Group, situated in the country’s eastern region. “The Dominican Republic has extraordinary weather, which is crucial not only for athletes, as well as for everyone else. It’s almost as if I were near my country because the language is the same, it’s a solid investment and I have full trust in the Piñeiro Group,” said Nadal during a recently held press conference. 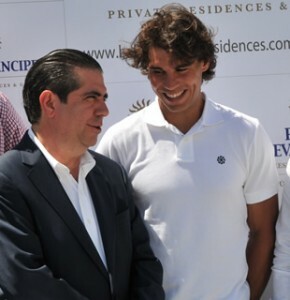 The Dominican Minister of Tourism, Francisco Javier Garcia, said during the press conference that having someone like Rafael Nadal invest in the Dominican Republic is truly invaluable. He said that Nadal’s confidence in the country is good for Dominican tourism and sports. “This is a meaningful event for the Dominican Republic, for both the sports and tourism sectors, because this talented young man is an icon, a living legend that honors us with his presence, not as a tourist, but as another Dominican,” Minister Garcia told the press. The “Playa Nueva Romana” features two golf courses, apartments and villas, a shopping center and marina, all on two kilometers of a perfect Caribbean beach. 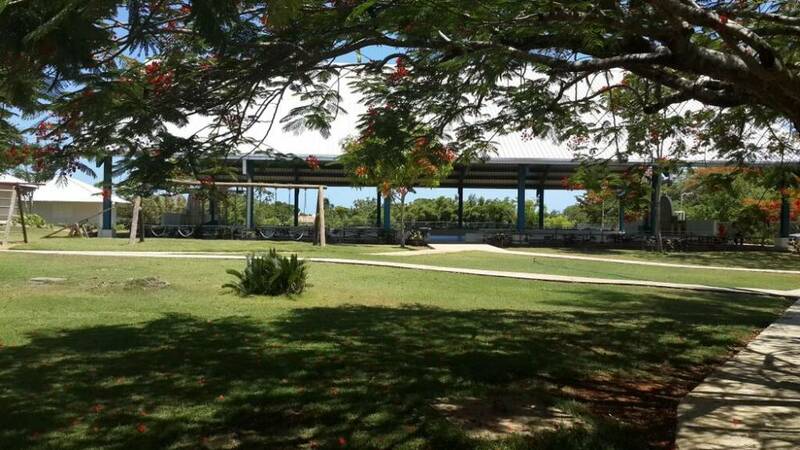 The resort is situated some 30 minutes from La Romana International Airport, and one hour from Santo Domingo’s international airport.